John Milton Lytle was born in Portage, Wood County, Ohio on February 25, 1829. Harriet Matilda Clark was born in Perth, Lanark County, Ontario, Canada on December 8, 1835. 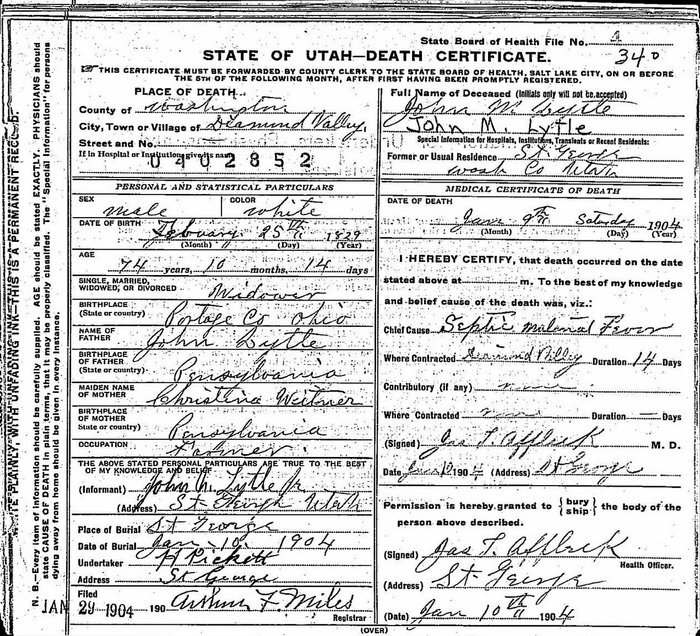 Lucina Clarissa Tuttle was born in Salt Lake County on September 6, 1848. Harriet died in Salt Lake City on March 25, 1856. John married Lucina on November 6, 1867.